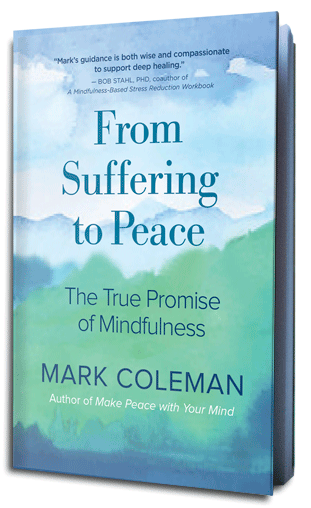 From Suffering to Peace draws on Mark Coleman’s twenty years of teaching mindfulness meditation to help readers to clearly understand and cultivate the ancient practice of mindfulness. He explores how, when studied and developed, mindfulness provides a path to transformation, wisdom and genuine peace. In order to reach as many people as possible about the true promise of mindfulness, I need your help. Reviews and marketing around the book’s publication date are essential, so I am working with my publisher, New World Library, to create a book launch team of up to 100 volunteers who are willing to pre-order the book and post a review on Amazon. I would love for you to be a part of the team. Mark is an inner and outer explorer, who has devotedly studied mindfulness meditation practices for three decades. He is passionate about sharing the power of meditation and has taught mindfulness workshops and meditation retreats in six continents for the past twenty years. Mark is a senior meditation teacher at Spirit Rock Meditation Center and has taught there since 2000. Mark holds a MA in Clinical Psychology and draws on his extensive experience in working with people as a therapist and coach. Through the Mindfulness Training Institute Mark leads Professional Mindfulness Teacher Trainings in the US and UK annually. Mark likes to share the fruits of meditation to wider audiences and founded The Mindfulness Institute, where he has brought mindfulness training programs to companies and the nonprofit sector across North America and Europe. Mark is a trainer for the Search Inside Yourself Leadership Institute, developed at Google and teaches on their teacher trainings. Mark is an unabashed nature lover and, through his organization Awake in the Wild, he shares his passion for integrating meditation and nature. He leads wilderness meditation retreats from Alaska to Peru, taking people on inner and outdoor adventures. Through Awake in the Wild, Mark also leads year-long meditation-in-nature teacher trainings in the US. Mark is writer and author. His upcoming book is From Suffering to Peace: The True Promise of Mindfulness. 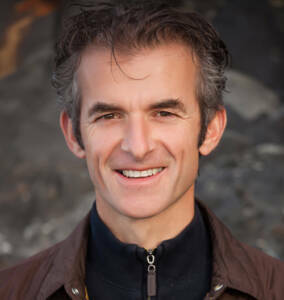 He is also the author of Make Peace with Your Mind: How Mindfulness and Compassion Can Help Free You from the Inner Critic and Awake in the Wild: Mindfulness in Nature as a Path of Self-Discovery.